While investments soared by 55 percent in Japan to counter the decreased reliance on nuclear, Europe slashed its investments by a massive 41 percent. The two biggest investing countries, China and the US, both saw their dollar commitments fall in 2013. China invested $61.3bn in clean energy last year, down a modest 3.8% from $63.8bn in 2012. 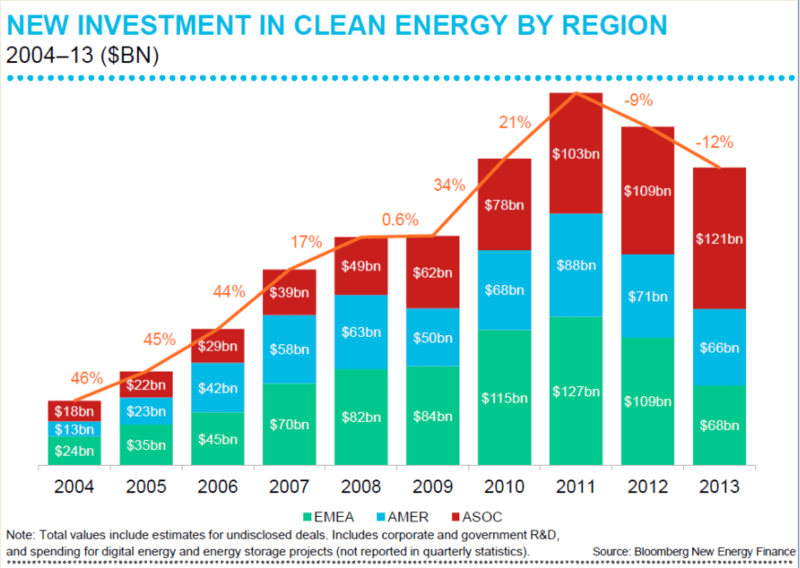 This was the first reduction in Chinese clean energy investment in over a decade. The US saw investment slip a more significant 8.4% from $53bn to $48.4bn. Please have a look at the full BNEF article for more details.